SNAFU! 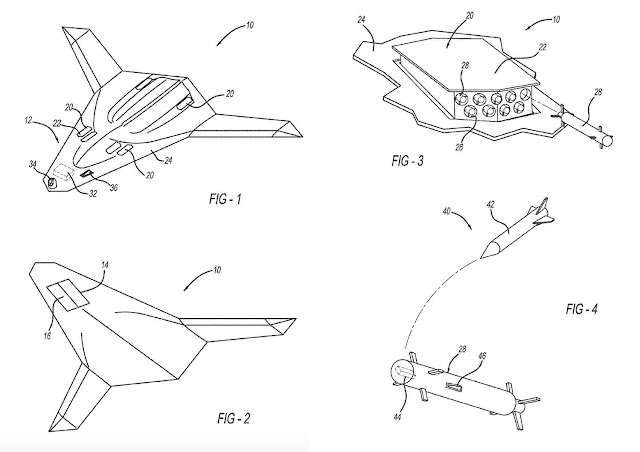 : Northrop has a patent for an anti-missile missile for aircraft! Northrop has a patent for an anti-missile missile for aircraft! We have been talking a lot lately about some cutting-edge technologies that could be incorporated into the upcoming B-21 Raider stealth bomber or in other future stealthy aircraft designs. Seeing as evolving integrated air defense system technology will continue to slowly erode some of stealth's current advantages, electronic warfare, laser defenses, advanced decoys, and even high speed are potential applications that will bolster the survivability of future American air combat assets. But Northrop Grumman may have another trick up its sleeve—a pop out kinetic kill missile defense system that is especially well suited for installation on stealthy aircraft. Wow. So this is one of the many solutions that we're gonna see heading into the future. It makes sense and Tyler does a good job of spelling this whole thing out (definitely read it). For better or worse it seems that manufacturers are locked onto the future alot better than the services. Stealth is becoming marginalized as we speak and its shelf life can be measured in years, not decades.